Manufacturer of Jhula chain, jhoola chain, zula chain, Swing Chain - Stainless Steel Swing Chain, Mild Steel Swing Chain, Bronze Swing Chain and Brass Swing Chain. We have been counted amongst the topmost companies in this business, which are instrumental in offering Solid Brass Chain to clients. 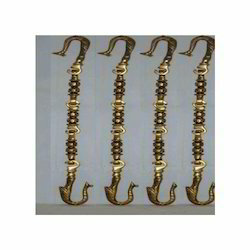 Our Solid Brass Chain (Brass elephant swing oonjal Chain) is highly appreciated in market for its high quality and optimum strength. Furthermore, it is made available at reasonable price according to the requirements of our clients. 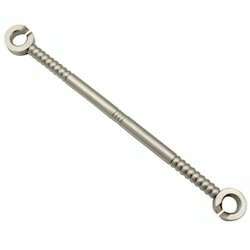 We are a recognized name amongst the most dominant companies in this business, engaged in presenting Brass Swing Chain. 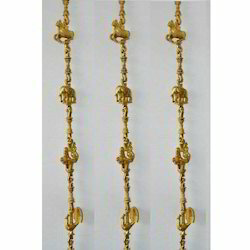 Our Brass Swing Chain is known for its attractive design and high quality. Clients can avail this product from us at most affordable price. Furthermore, our product range is delivered in committed period of time. 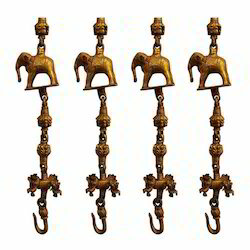 We hold expertise in providing Decorative Swing Chain to our customers. 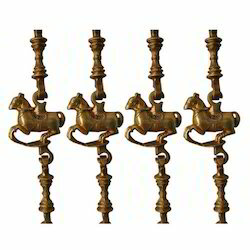 Our Decorative Swing Chain(Brass Horse Chain) is designed by using latest technology and quality tested components. To attain the maximum satisfaction of clients, we provide this product at most reasonable rate. Our product range is checked for quality under various set norms of the industry. In order to keep pace with never ending demands of our clients, we are engaged in providing an enormous quality range of Bronze Swing Chain to our clients. 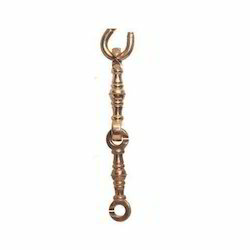 This Bronze Swing Chain is of good quality and is made using qualitative brass material. Besides, these products have high strength and are available at low prices. We have been counted amongst the topmost companies in this business, which are instrumental in offering Solid Brass Chain to clients. Our Solid Brass Chain (Brass Oval Chain) is highly appreciated in market for its high quality and optimum strength. Furthermore, it is made available at reasonable price according to the requirements of our clients.